The New York Times ran a provocative op-ed in mid-June on urban gardening. The author, Marielle Anzelone, felt strongly that urban gardeners are just in it for human food and haven't thought enough about the other creatures: the literal birds and the bees. She imagined an urban ecosystem full of horrible monoculture, driven by self-interested urban gardeners. Fruit trees, fruit trees everywhere and not a wildflower in sight! A vision of the apocalypse. In my own garden, I fear I am breaking many of Anzelone's rules. I'm not planting natives or wildflowers. There are rows with single varietals. And I've focused my attention on myself and my neighbors -- the human species, as would would call them. Still, I followed one of her guidelies: I planted some blueberries. This was perhaps a silly decision. Berries take a few seasons to get going, and I know the clock on my Cambridge time is beginning to run down. So it almost seemed foolish to invest in a few plants out back. But borrowing a page from Kingsolver's obsession with long-dormant asaparagus in "Animal, Vegetable, Miracle", I thought to heck with it. If I don't enjoy the blueberries or blackberries on the fence, then someone else will: a bird, a squirrel or maybe even a dogged human. Gardening is never just about human consumption. The birds and bees will find our plants, whether or not we plan for it. In early June, several large, bright green caterpillars contented themselves to chomp on my young dinosaur kale and cauliflower. I kept finding them there, day after day, week after week, cutting holes into the vegetables like the very hunger caterpillar book had warned. When a plant was particularly badly assaulted, I would find a large guy camouflaged into a plant's stem. When the holes were bigger, the caterpillar too would be bigger, as if he had magically transformed the green plant into his green body. Which, of course, he had. I am a softee when it comes to killing insects, so my approach was to find a stick and gently lift the caterpillar off, then not so gently toss the stick into a bush. New caterpillars would emerge the next day, and I would never know if I was dealing with the same culprit twice. It was a constant battle, and by June, I had one chard plant, one spinach plant, and a few rows of kale dotted with holes. The insects were winning. Clearly, my garden is not just fulfilling human desires. Still, a survey of my little patch reveals a few plants worth eating. The peas are a delight. I planted dwarf grey sugar peas on this advice, and have been thrilled with the results. 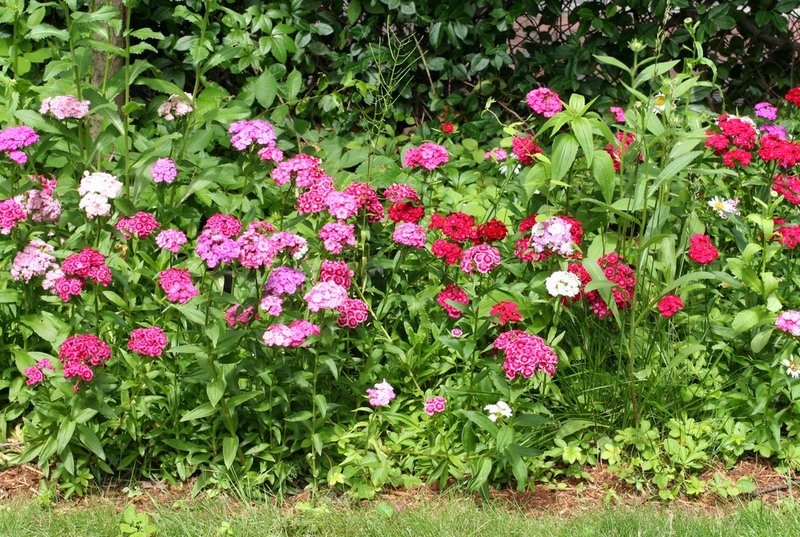 Blooms of deep magenta, soft blue, and even red. Strong stalks that reach 3 feet high with minimal support. Whether there will be any peas left in early July when I return, well, that is an open question. The bugs may have enjoyed them in my absence. I have just left my little garden patch for a few weeks, and the separation has left me somewhat anxious. Will the caterpillars devastate my little kale while I'm gone, leaving me none to treasure come autumn? 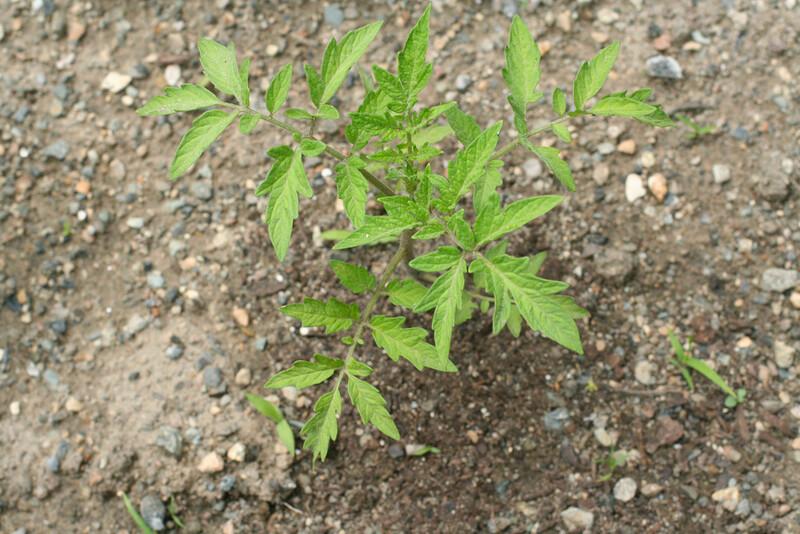 Will the tomatoes, carefully tended from seed, get overwatered by friendly neighbors, turn yellow and lose their leaves? 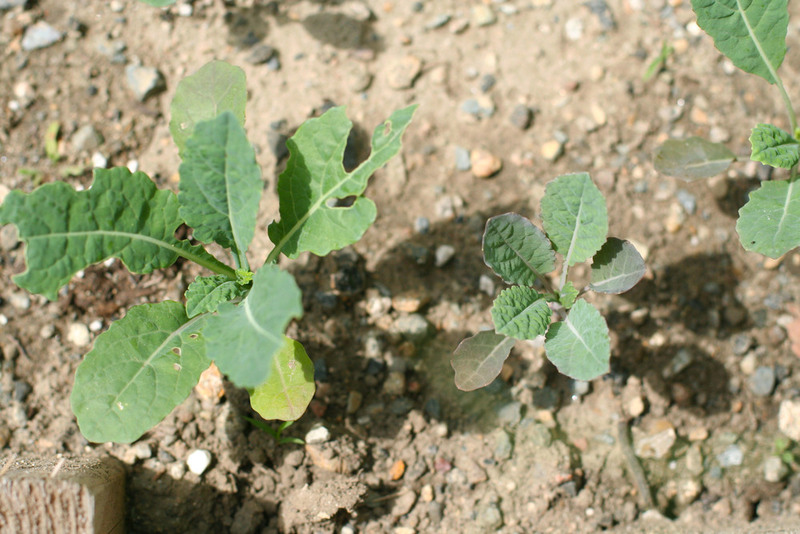 Will any peas be left in early July, or will the sun have baked them into hardened seeds? A well-ordered garden in the middle of the city still contains wilderness. Planting a garden forces you to embrace these forces, even if you watch over it daily from sunrise to sunset. Things will occur beyond your control: it will rain for weeks causing root rot; squirrels will descend in droves digging up your plants; and those pesky birds and bees they'll come to feast, non-native vegetables be damned! Despite some people's fears, the wilderness cannot be squashed by human experimentation, only altered. And in my mind, it's not urban gardeners competing with urban wildflowers. It's grass, grass and grass. This is the monoculture to be feared, not fruit trees or small vegetable patches. We could all benefit from beating back that grass a little bit, whether through a raised bed full of fresh dirt or a row of wildflowers. There is room enough for both. On my last night in Cambridge before leaving for a few weeks, it rained. It had rained the whole week: thunderstorm on thunderstorm, canceling our softball game and sending us home soaking wet. The garden was getting waterlogged. I started to worry. The kitchen plants I kept upstairs would need to be moved downstairs as well, to brave the elements while we were gone. What if it rained every day? What if it never rained at all and my neighbors forgot to water? What if. But just after I got home, the last thunderstorm finally broke. I glanced out the window and caught a rainbow breaking across the sky. Before I knew it, there was a second rainbow. 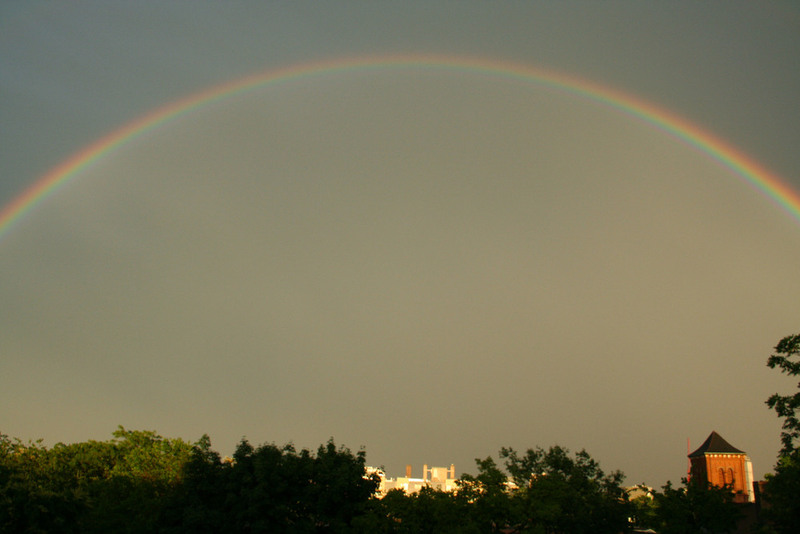 And I realized they joined one another, making a full rainbow high above the city. I'd never been to the roof on my building before, despite living here for nearly three years. I clamoured up, unlocked the door and emerged to a flat roof. I could see the city before me, with it's four-story buildings obscuring no view, as the rainbow arched clear across the sky. After the storm came the rainbow. Nature knew its own balance. My little garden patch would be just fine without me for a short while. And if the bugs ate everything while I was gone, then at least I was feeding someone. No wildflowers necessary. Posted in gardening and tagged with peas, kale. June 30, 2013 by Leah.